Save Time! Pick up and return bike from our hostel/hotel located in the downtown. Just make reservations online. Plus Store heavy luggage in our hostel/hotel for FREE! Famous Brand-GIANT! Bike Type- ESCAPE 1 for road trip and It’s well equipped! You don’t need to bring anything extra. 15% less than market price for our guest. Plus 10% OFF stay in our highly ranked hostel partner alliance in different cities! Our warm and friendly staff members are eager to help you plan your cycling trip and can answer all your travel questions. With its lightweight ALUXX aluminum frame and smooth, stable 700c wheels, Escape 1 is ticket to on-road versatility. Ride city streets or country roads. For commuting, fitness, or just for the fun of it. Confident upright geometry and a wide range of gears give it a sporty ride quality. Easy handling and powerful TEKTRO V brakes make it a great choice for navigating city streets or crowded bike paths in all types of weather. Whatever road or path you choose, Escape Disc is always up for the adventure. 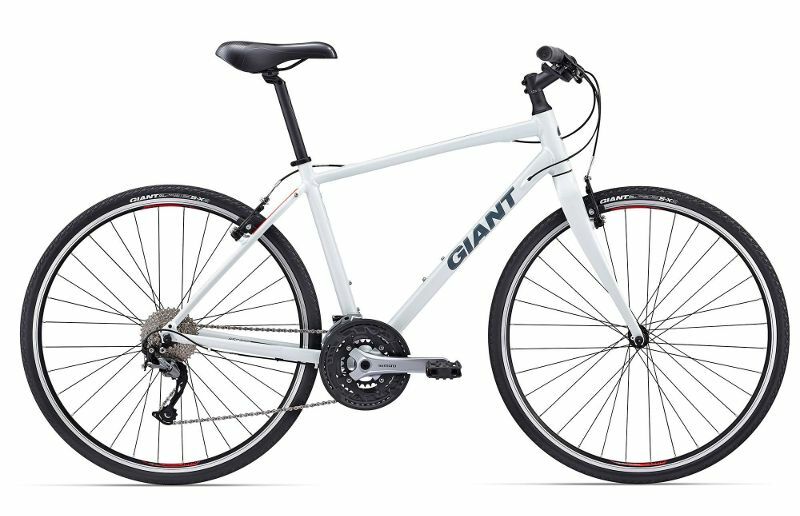 Can I pick-up and return the bike at different branch? Sorry, you can only pick-up and return at the same location. Can I send the bike back if I don't want to ride it back? Yes, you can send the bike back by train. what equipment is supplied in your bike rental package? We supply LED front head-light, Combination Cable Bike Locker, Portable Air Inflator Pump, Bike Saddle bag, Toolkit, Bike Carrier, two Inner Tube (Two hundred for per tube if you use it). *We do not supply helmet due to the personal hygiene issue. If you book our acommodation already, you surely can have this discount. For the first three days, the price will be NT10,20 and to the fourth day, the price will be increased NT170 for each day. On the other hand, if you never stay in Homey Hostel or HUB Hotel, the first three days will be NT1,200 and to the fourth day, the price will be increased NT200 for each day. *The pick-up day and the return day count as TWO days. What is the type of your bike? Our bike is Giant road bike- ESCAPE 1. If I don’t have credit card, can I use HK or RMB to pay for the deposit? Yes, we have HK Standard Chartered account and Alipay account. What if the bike is broken? Our bike is all well maintained. Please check carefully when you pick up the bike and immediately tell us when you find anything wrong or broken. We will take care of any accident of our bike after the thirty minutes you left the location. Once the bike have any accidents unless there is a reason that you can’t call the police. You always have to call the police and call us so that we can repair the bike with Giant Company. If the accident is caused by you, you will have to pay all the fee (rescued fee, repairing fee, the potential rental money when repairing) is caused by this accident. Homey Bike only is only responsible for the public liability insurance, if you want to have the other insurances, you should manage it by yourself. Do you rent electric bike? No, we don’t rent the electric bike. Can I rent the bike only for hours? Yes, but we don’t have reservation service for hour rental. You can call us or come to our branch to confirm whether we have available bike at the time you want to rent.